In the Echoes podcast, an interview with a giant of the guitar. John McLaughlin announced his retirement from regular touring and last year, returned to the seminal music he made with the Mahavishnu Orchestra in the 1970s. 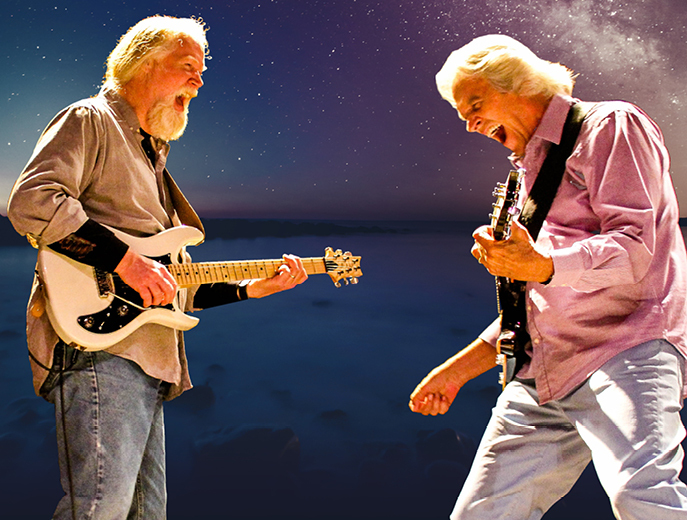 He toured last year with Jimmy Herring and in September, they’ll release a live album, Live in San Francisco. We look back with John McLaughlin, who talks about a music born of the spirit, psychedelia, jazz and raw power. “I want to see blood on the floor.” John McLaughlin, a musician who was always going forward, looks back. John McLaughlin is the greatest guitar player of all time in my humble opinion! Wish he wasn’t retiring but what a way to go out..playing his early mahavishnu orchestra stuff and seeing/hearing it live was a dream come true and the only thing I can liken it to was like a religious experience of the highest order possible. Easily the best concert/tour of 2017! There’s no other guitar player who played so many different styles of music so masterfully. Always wish I’d been born about 10 years earlier so I could have seen the original Mahavishnu orchestra and other great bands from that era. But I’m very thankful that I got to see McLaughlin around 30 times over the years.